I haven't experienced any stinging, transfer, flaking (as long as you don't rub hard at it), or creasing with these liners, so it's checkmarks all across the board. 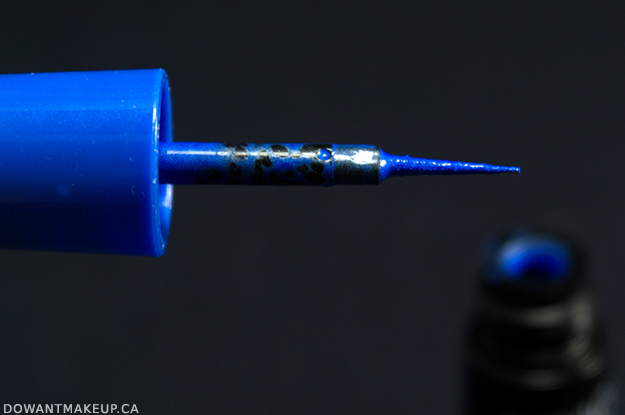 FYI I have dry/normal lids, so if you're on the oilier side, your experience may be different. 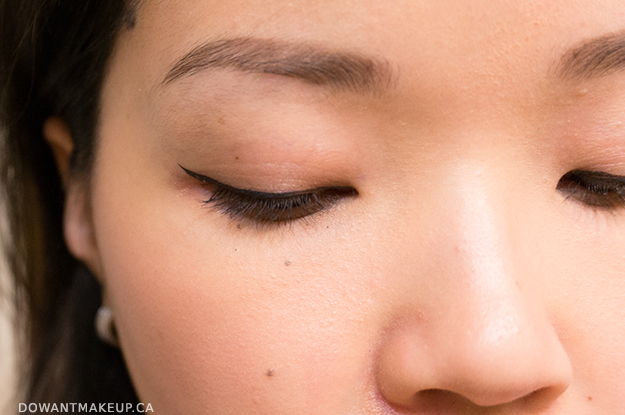 They wear well throughout the day and come off without too much fuss using cleansing oil. 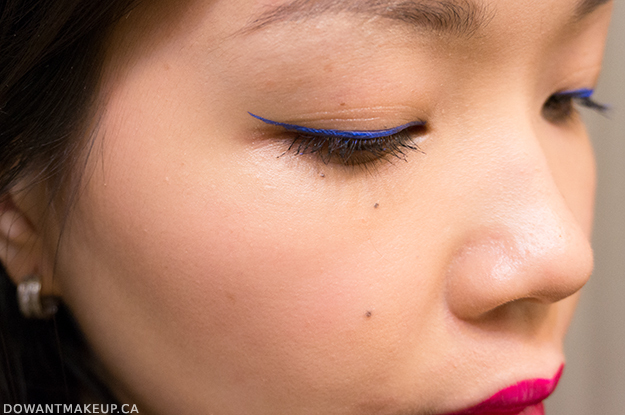 You can barely see it on my more-hooded right eye, but isn't Electric Blue so pretty? It would pop even more on someone with more eyelid space. 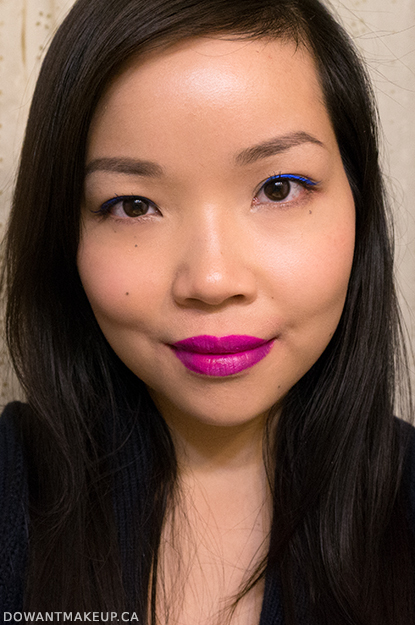 Even when I'm wearing a super bold lipstick like Bite Luminous Creme in Violet (above, not the same lip colour as the previous close up pic--that's OCC New Wave), Electric Blue gets just as much attention from other people. Of course you know how this ends: highly recommend! 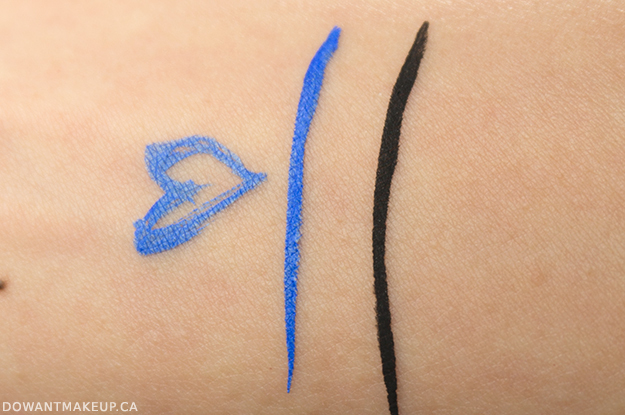 A great drugstore liquid eyeliner is hard to find, especially in shades other than standard black/brown. 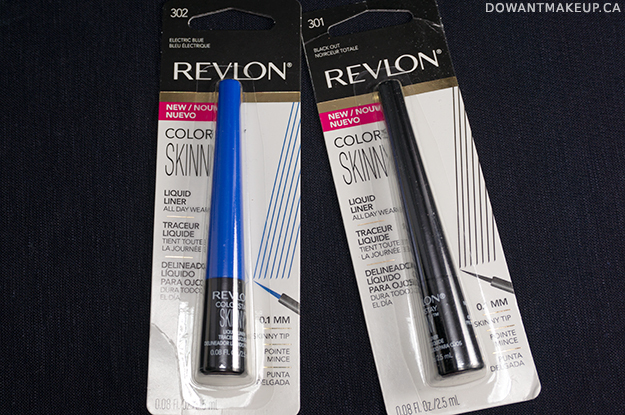 The Revlon Colorstay Skinny Liquid Liner is a great option whether you want basic black or something a little bolder. 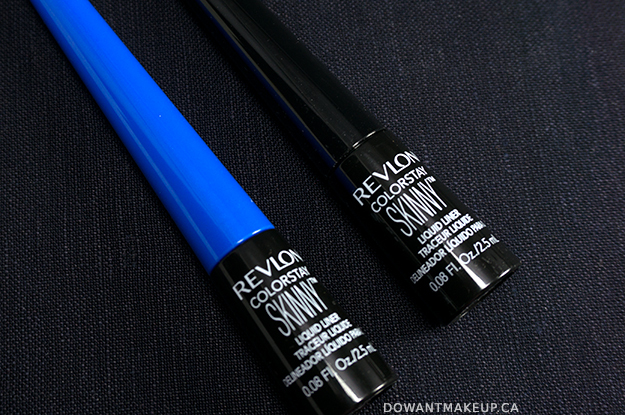 What's your favourite way to make your eyes stand out?